Use the Joomla newsletter extension to insert a signup form on your website. Customize the signup process to ask for specific information from subscribers, such as their interests, location or birth dates. You can also automatically group new contacts into dynamic groups based on unique profile traits with the Joomla email extension. Use these traits to send targeted, personalized newsletters. After all, newsletters with personalized subject lines are more likely to be opened by 26 percent. Once you have created the signup form, you never need to worry about it: all contacts that have signed up will be added to your list automatically. Installation is free and only takes a few minutes. The Joomla Newsletter Plug-in saves you time and effort in organizing and updating your contact lists. It also lets you import content directly into your newsletter. Our Joomla newsletter plug-in enables you to create a legally compliant signup site. Our form generator is very intuitive; therefore, you can create a page in no time and without any programming knowledge. You call the shots: make sure you ask subscribers to enter whatever data you need to create a personalized newsletter. Decide which fields are mandatory and which optional. Moreover, you can choose to move your recipients into a specific group shortly upon registration. The Joomla newsletter module allows you to save precious time. You won’t need to ever enter your recipients manually, but you can also transfer website content into to your newsletter with one click. The 1-click content transfer feature allows you to transfer any content piece you deem fit: be it text extract, pictures or links by specifying the content ID. All you need to do is to insert a special block into your email. From that point onwards, professional content newsletters will only take minutes. After you’ve found the content ID, the rest will be taken care of and every desired content element will be automatically transferred into the newsletter. Send more newsletters, for example to newsgroups and employees, in less time. New subscribers will also be automatically transferred to Newsletter2Go, which makes managing different newsletter groups easier than ever. Unsubscribe requests and bounces will be automatically updated. Newsletter2Go’s got your back: we make sure you’re always on the right side of the law. Send emails only to people who want to receive communications from you. 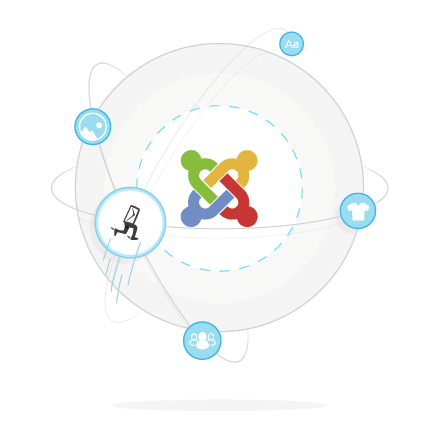 If you have any questions about the Joomla email extension, don’t hesitate to contact our support team. We’re waiting for your email or call. Our support team is here for you. Please send us an email or call us. The Newsletter2Go Joomla newsletter also enables you to use the 1 click content transfer feature, which automatically imports content from your Joomla website directly into your newsletters. It’s that easy. To use the feature, you need to get a premium template from Newsletter2Go, which will be designed according to your wishes and fully customized.